Producer Bob Clearmountain (Springsteen, Rolling Stones, Brian Adams, Robbie Williams, Toto, Bon Jovi and 235 others) shares his purpose built echo chamber with Altiverb customers. The previous owners of the house had created a wine cellar out of a windowless area of the basement that was approximately 5' 6" x 16' x 8' high. 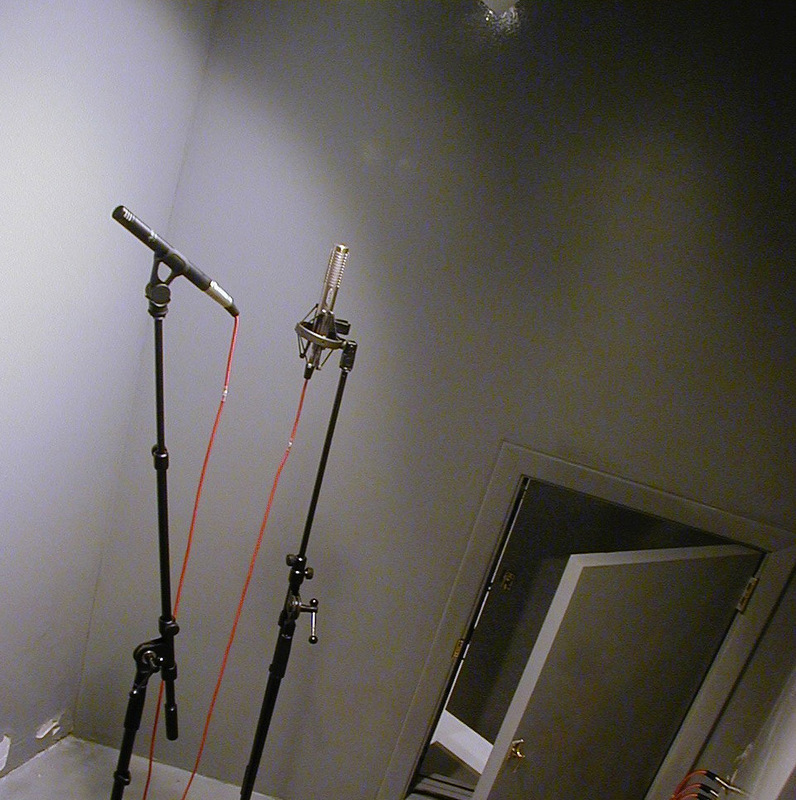 Because reverb gives Bob less of a headache than wine, it was turned into two identically sized acoustic echo chambers by adding an additional layer of interior walls and ceiling, (it's directly under the kitchen) and dividing it in half with a diagonal wall containing a small door. Each chamber contains a Mackie HR824 self-powered studio monitor and an AKG C 460 B microphone. It's normalled off the SSL custom "stereo cue 5" which is part of the "Bluestone" mod that converts the quad front-back pan to an aux/cue send that is post the L-R panpot. This configuration provides a localized, paned reverb effect. The discreteness of the effect is altered by opening and closing the doors between the chambers. The sound of the chambers is fairly short and bright, somewhat similar to the 60's Motown reverb sound. The sample we present to you here is the way Bob uses the room himself: with some low frequencies rolled off and the door opened in a way he likes. These echo chambers are heard on basically everything Clearmountain mixed since 1994, including hit records as Robbie Williams' Intensive Care, Bon Jovi's These Days and Amy Macdonald's This Is the Life.